Please check our newly redesigned website (www.roadtohomerescuesupport.com) for more information on donating, adopting, fostering, volunteering, events and more. Lexi is Sporting Her Bunny Ears, Getting Read For Easter. 🐾 Another Holiday Is Here And Lexi Still Waits! 10 months and not one inquiry! What Will It Take To Get This Amazing Girl Her Very Own Family?? She is sweet, funny, loving and super smart! Lexi has recently started training with some amazing volunteers who have been Lexis fill in family while she has been sitting in boarding all these months. Yes,..Lexi needs to be your one and only..but we have found homes for many others who need to be solo dogs. Why is this beautiful girl being overlooked time and time again?? We ask that you please send her information to everyone you know who might be looking for an incredible companion. She is very chill and and happy just to be by your side.She will definitely make your heart smile! 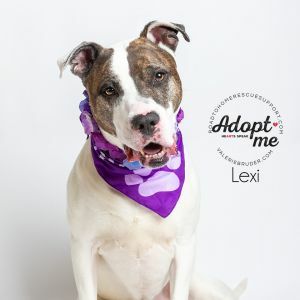 Big thanks to all of her amazing friends in NJ, who have stepped up to get Lexi out daily, take her to the stores and now to training classes. Big hugs to lexi's BFF Carol Wells who has been a God send to Lexi and to RTHRS. Look at this beautiful girl shine! Let's get her home! Anyone who adopts this amazing soul will be one lucky person! If you would like more information on Lexi. please email us at adopt@roadtohomerescue.org. Adopt or Foster email adopt@roadtohomerescue.org for an application. Katie Is Absolutely Amazing And Has Been Waiting For Over 10 months without one inquiry! 🐾 Where is her person?? Beautiful 2 year old Katie is approximately 40 pounds. She is deaf but it doesn't affect her at all. She loves everyone and does well with dogs her size or larger. Katie will do best in a home with kids 10 and up, due to her puppy playfulness. She's a bouncy girl who loves to run and play, but is just as happy being your cuddle partner. You can sponsor a specific dog or cat. If none is specified, your sponsorship will go toward whoever needs it the most. Your sponsorship will help us with food, shelter and medical care for all of the dogs, and cats, in our care, dogs in our forever foster program and our sanctuary dogs. This will also allow us to continue helping animals in the community. You can donate through paypal and click make this a monthly donation. You can also send a check to us at Road to Home Rescue Support PO Box 7403 Wantagh NY 11793. Please remember that your donations are tax deductible!